Sandy Hook, Mass Shootings, and Gun Culture in the U.S.A.: Why (as a gun owner) I am for sensible gun legislation. The tragedy mass shooting at Sandy Hook was not caused by one thing. As soon as the shooting happened everyone (including myself) got on their soap box and focused on one aspect of the tragedy. Everyone pointed to their favorite culprit and suggest what they were focused on was what “caused” the mass shooting. This is short-sighted and incorrect. The situation that led to Adam Lanza walking into a school and methodically killing a large group of people, mostly children, was enabled by the intersection of parenting, personal responsibility, a culture of violence in the U.S., gun control, mental illness and many other factors. However, in light of the predictable arguments regarding gun control this tragedy has sparked, and the Presidents words today and the arguments against his suggestions, I thought it would be a good time to explain why I am a gun owner that is for sensible gun legislation/regulation/control. But what do I mean by sensible? There are two extremes when it comes to gun control and both are ridiculous. One extreme is represented by those who want to abolish or severely restrict firearms. The notion is that tragedies like Sandy Hook and gun crime in general could be avoided or limited by more restrictive gun legislation. The problem with this stance is that illegal activities are not just stopped by the letter of the law. Law-abiding gun owners would be restricted, loop holes would be found, and criminals would still disobey gun laws. Additionally it should be noted that there are many firearms owners who do not commit crimes. I myself have owned a gun since I was eighteen and my closest run into the law was a speeding ticket while in college. (And that one time I poached in Canada. But we don’t talk about that.) Ultimately this extreme stance does not address the roots of gun-crime. Poverty, a culture of violence and other issues that drive the violent actions guns are used in are not addressed and cannot be addressed by gun legislation (or at least not gun legislation alone). The other extreme is represented by people who act as if any gun laws are a violation of the 2nd Amendment and one step closer to the U.S. government banning guns and turning into a dictatorial regime. The NRA and other powerful lobbies actively work against any gun legislation. I fear this is done regardless of the actual merit of these laws because this would in some ways restrict the flow of the supply and demand that impacts their bottom line of firearm companies. The problem with this stance is that I believe any responsible person that is for gun ownership will recognize the incredible lethal potential of modern firearms and that some sort of regulation is probably appropriate to ensure public safety and proper use as best we can. Is it really reasonable that an average law-abiding citizen should be allowed to own and operate a military weapon that can fire hundred of rounds per minute with no check on their criminal background, their mental health or their competency with such firearms? I believe a middle ground in regards to gun legislation is sensible and desirable. I think we can have our cake and eat it to. Examples of such legislation would be mandatory background checks for all firearms sells and gun licenses, not dissimilar to driving licenses. For example a basic license would allow for the possession, sale and operation of traditional low-capacity long-guns used for hunting, a next level would allow for handguns, and a higher level would allow for assault style weapons. Each license could require more stringent checks and training. I love guns, I am a gun owner and I am totally fine with people owning firearms, including assault weapons. Some pro-gun activists might wonder why I am for gun legislation in general and the ones I have outlined above, which some would find reprehensible. It’s actually simple really. The fact is many things have changed since the Colonial Era and the drafting of the Constitution and the 2nd Amendment. Two of these changes are the main reason why I am for sensible gun legislation. First, firearms have advanced to the point where they are far more dangerous than the muskets the average citizen used to use. 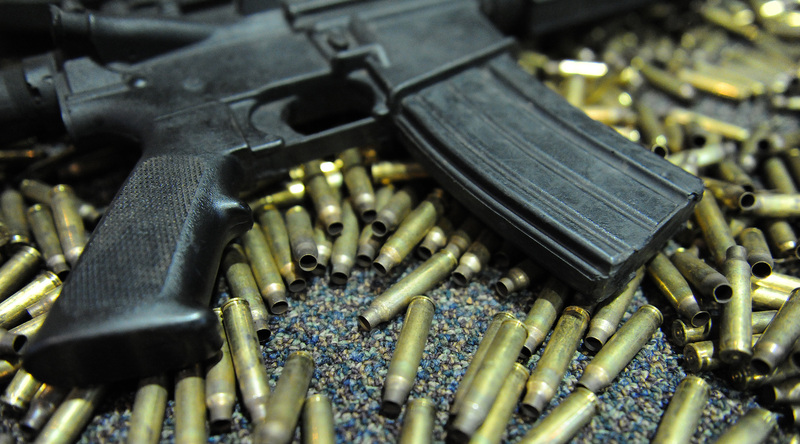 Modern firearms have incredible destructive potential and are incredibly lethal. In many states firearms, including assault weapons, are in the hands of civilians with little to no training. Assault weapons, high-capacity magazines, anti-material rifles and other powerful weapons are legally owned in a number of states. Their danger does not mean their owners are violent or criminal, but it does mean that there are citizens with access to firearms that are incredibly dangerous. Second, gun culture in the U.S. has changed dramatically. In the old days firearms were part of the fabric of everyday life for many citizens. People grew up being mentored in their use, their safe handling and a necessary respect for their lethal nature. However, while in some parts of the rural U.S. this culture still exists, generally speaking what people know about guns, the gun-culture we have, comes primarily from the movies, T.V. and video-games where guns never run dry, misfires never happen, children never accidentally shoot themselves and people re-spawn back to life after 15 seconds. The sum total of this is that people have access to firearms, including incredibly powerful ones, without a pervasive gun culture that ensures proper guidance in regards to their lethal nature and their safe handling. All thing considered, as a gun owner, and as someone who is completely fine with people owning firearms, I am for sensible gun legislation that avoids the extremes and the errors associated with them. Now such legislation is not a silver bullet. Criminals will still be able to get guns through clean proxy buyers. Gun crime will still occur as this legislation will not address issues related to poverty, the drug economy, domestic violence, and other issues that contribute to gun crime. Mass shootings will probably still occur. These restrictions will probably at best cut down on some gun crime and accidental shootings. But I should remind people there is no perfect set of gun laws that can categorically prevent events like Sandy Hook from happening. The reason is what happened at Sandy Hook, Aurora, and other mass shootings are multifaceted tragedies that have to do with more than just firearms. Imperfect as it may be though, I believe such middle ground legislation is in the best interests of our society as a whole both those that choose to own firearms and those that choose not to. This entry was posted in Personal Commentary, Politics and tagged assault weapons, gun control, gun legislation, gun owner, Obama gun ban, sensible gun legislation. Bookmark the permalink.